On Thursday the 29th April the winning 560 team from Country Club and Ballyhegan were honoured by the Chairman of Fermanagh District Council Councillor Thomas O'Reilly during a Civic Reception held in the Town Hall in Enniskillen. Members of both teams, along with the Chairman and Treasurer of the NITOWA attended the function with a number of other dignitaries from the local Council and local area. Mention was made by the Chairman of the great achievement of the team concerned and the honour of winning the Gold medal event at the World Championships. Marcus hunter spoke by way of reply to the comments of the Chairman and thanked the council for their generosity and kindness in providing a reception following their recent win. He mentioned the determination of everyone on the team and included support members and other members of the complete team that had done their bit to be able to gain the coveted titles at the Championships. A great supper was provided by the council and everyone enjoyed their evening in Enniskillen. Two days later it was the turn of the Mayor of the City of Armagh with the Mayor Councillor Freda Donnelly providing a civic reception in the Bishops Palace at Armagh for all the members of the teams that had travelled to Scotland to represent NI at the World Event. Members from Richhill, Country Club and Ballyhegan were all present on the night along with the NITOWA executive and the President of TWIF, Mr Cathal Mckeever. Everyone was welcomed to the Palace by Mrs. Donnelly who said that it was great occasion in welcoming the winning 560 teams to the reception. TWIF President also s[poke about the occasion and the fact that this was the second time that winning teams had been welcomed by Armagh Council. He also recalled the night when the Lady Mayor had borrowed and donned a pair of boots during a charity event at the Mall. 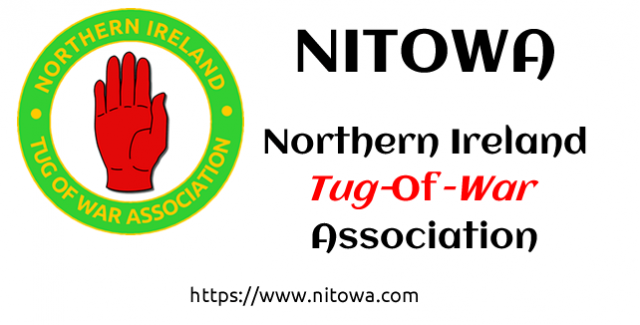 On behalf of the NITOWA, the Chairman Mr. Hugh McFetridge thanked the Mayor for her warm welcome and congratulations, stating that it was great achievement for the NI teams in gaining such prestigious wins against very strong opponents. A sumptuous supper and refreshments was served and many stories were exchanged amongst all of the guests.